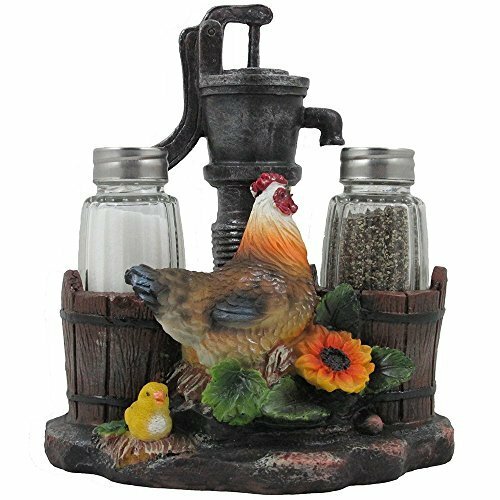 Include farmhouse freshness to your tabletop when this plucky chicken serves up your seasonings! 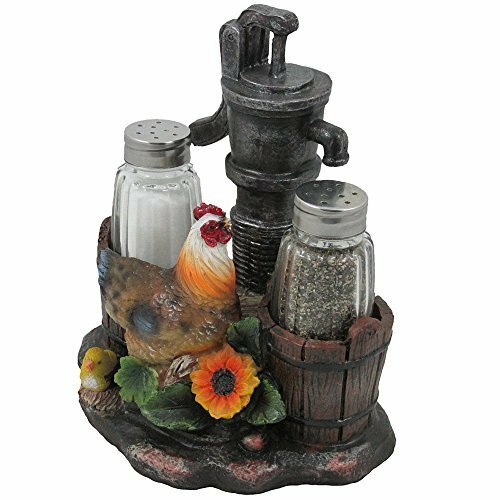 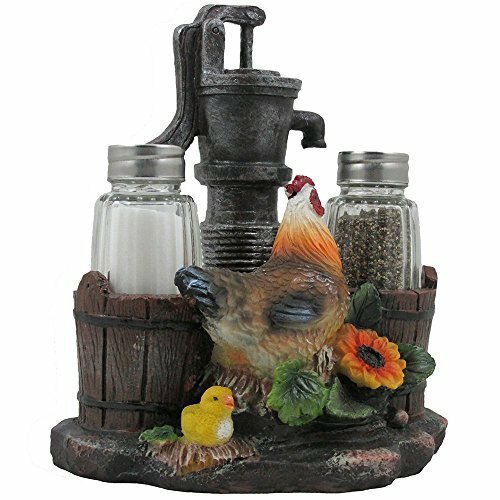 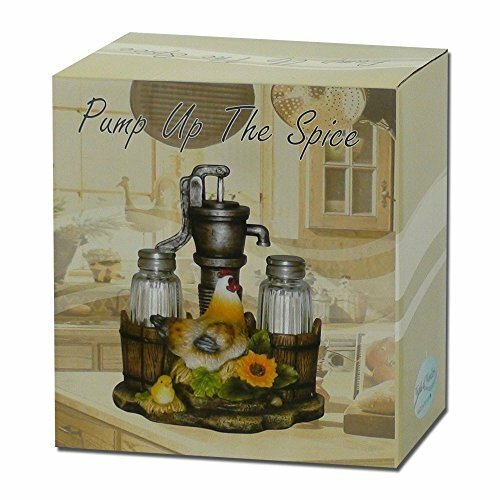 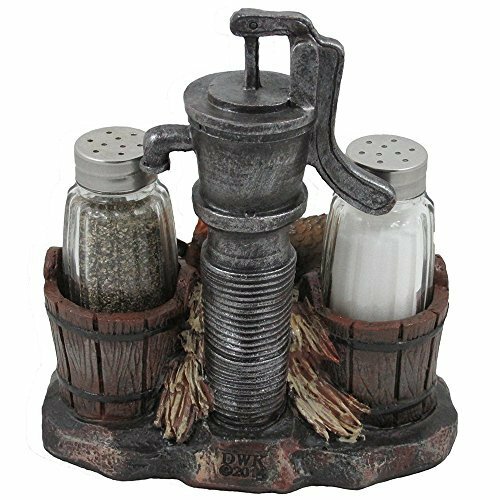 Glass salt and pepper shakers nestle into their coordinating water buckets that are centered by a rustic water pump. 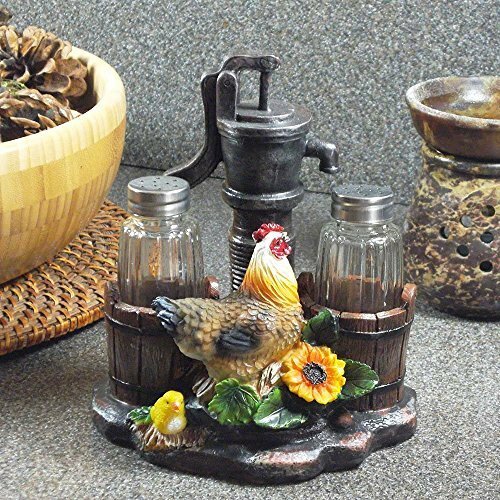 Perfect decoration piece for anyone wanting to include a minor country mealtime flair.